Take 10 Minutes/Day To Bulletproof Your Ankles…You’ll Be Happy You Did! I sought out to do a 4-week case study – on myself – to see what the Freo Board could do for the chronic tightness on the inside of my right knee. This was caused by playing 17 years of an unbalanced one-sided sport, baseball…along with a bad ankle sprain my Freshman year in college, and jamming my right leg into the hip climbing a wall going back on fly ball during a game against Fullerton my Sophomore year. Also dumb knuckle-headed-ness like running a marathon in 2008, and doing high repetition Cross-fit WOD’s post marathon were straws that FINALLY broke the camel’s back (or in my case my knee). 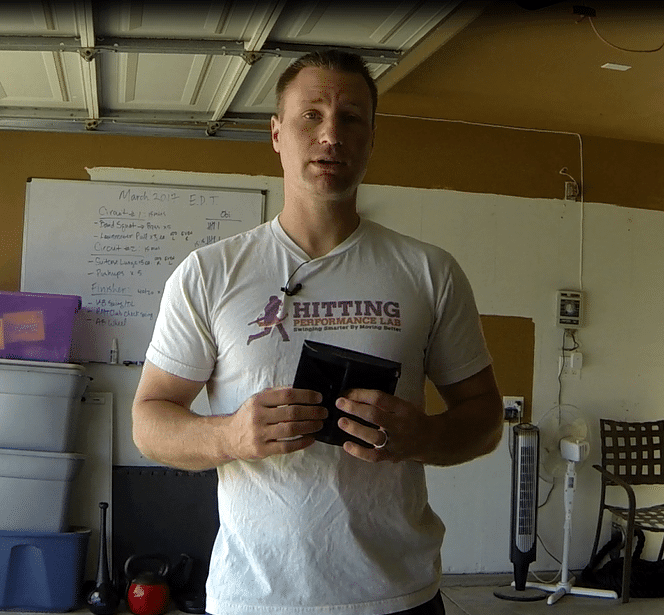 I had been using a Foam Roll , Trigger Point , and stretching strategies in the past, and would feel better that day, but the tightness would return the next day. And I’m happy to report that after one week of using the Freo Board, I haven’t had to Foam Roll or Trigger Point my TFL or IT Bands, or stretch out my hamstrings and calves in the last 3 weeks! Superb ankle, knee, or hip rehabilitation post injury. More effective in dealing with and transferring Gravitational Forces. GymBoss – Interval timer which I suggest setting at 20-secs work time, and 5-secs foot position switch time. Look, whether you’re trying to reduce your risk for injury, currently rehabbing a recent injury, or the injury was a decade ago, the Freo Board will help…A LOT. https://hittingperformancelab.com/wp-content/uploads/2017/03/freo-board-ankle-mobility-blog-post.png 615 664 Joey Myers https://hittingperformancelab.com/wp-content/uploads/2018/05/hitting-performance-labs_c90c0362088ef1d3d528f3078f4f8ac1.png Joey Myers2017-03-18 01:58:092018-09-03 05:19:41Take 10 Minutes/Day To Bulletproof Your Ankles...You’ll Be Happy You Did! Reaction Time Versus Timing (What's The Difference)? Funny thing i bet many people will just not see the bigger picture… later..